Move beyond butter with a pair of creative recipes for the grilled summer staple. 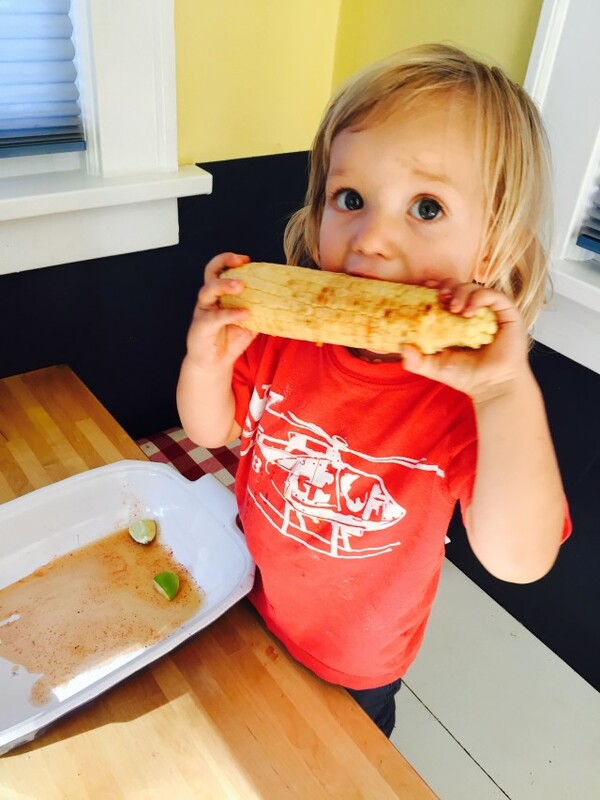 High summer is here, complete with piles of sweet corn at the farmers market, and the Balance's go-to local recipe gal and whole foods expert Lauren Chandler of Lauren Chandler Cooks has been busy getting inspired. "During corn season, my priority is being outdoors and minimizing time spent in a hot kitchen," says Chandler. "I'm in love with corn on (and sliced off) the cob because it takes very little time to cook, if you even decide to cook it at all. From a simple salads to breakfast corn cakes, gazpacho to sweet corn frozen yogurt (which you can find at NE Broadway's Eb & Bean right now), you just can't go wrong." Here, she shares two creative ways to bring the summer classic to the next level. Pour the coconut milk onto a rimmed plate and stir in the chili powder with a fork. Remove husk from the corn and steam or parboil, about 5 minutes. Grill the corn, rotating until all sides are lightly and evenly charred, about 10 minutes total. Remove the corn from the grill, and roll the corn in the coconut milk and chili powder, then sprinkle evenly with cilantro and salt. Serve with a lime wedge. Pour the maple syrup onto a rimmed plate and stir in the sweet smoked paprika with a fork. 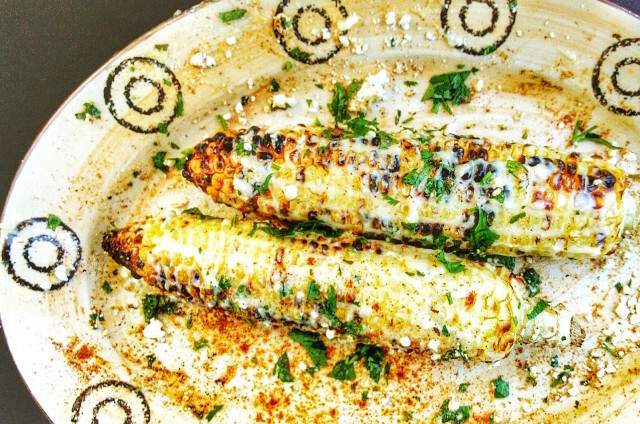 Remove the corn from the grill, and roll the corn in the maple syrup and paprika, then sprinkle evenly with sea salt. Serve with a lime wedge. *For a more caramelized texture and flavor, baste the corn with the maple mixture while grilling.